Following recent news coverage regarding the manufacture and compliance of some reduced sightline insulating glass units (IGUs), the GGF has addressed the issue from a technical and GGF policy perspective. Steve continued, “Building Regulations in the other countries within the UK also have a similar allowance. The issue in question is not compliance with Building Regulations but compliance with the requirements of the Construction Products Regulations and through that, compliance with BS EN 1279-5:2005+A2:2010 – Glass in building – Insulating glass units – Part 5 Evaluation of conformity. BS EN 1279-5 requires all IGUs to have Type Test (TT) evidence to Parts 2 and 3, component manufacture evidence to Part 4 and a system description in accordance with the requirements of Part 1. A Factory Production Control (FPC) is also required at a minimum level detailed in Part 6. Russell continued, “To ensure IGUs comply with these planning requirements the GGF aims to work with stakeholders across the supply chain. A number of years ago, an IGU manufacturer produced reduced sightline IGUs by cutting down existing 5mm high warm edge spacer bars to produce a spacer bar with a 3mm height and combine this with as little as 2mm or less sealant. It was reported that there was a high failure rate of these units which saw the introduction of a warm edge spacer bar manufactured with a 3mm high spacer. This has been marketed based on an edge-seal construction incorporating a minimum 5mm of sealant over the back of the spacer bar, giving a minimum sightline of 8mm. Although the spacer bar manufacturer has not been able to achieve passes to both Part 2 and 3 of EN 1279, they are continuing to work on developing a system that will achieve passes to both parts of the standard. Phil Pluck, GGF Group Chief Executive, addressed the issue at the GGF’s annual Members Day on 29th September. In Glaziers Hall, London in front of over 100 GGF Members, Phil announced the GGF’s position on the compliance of reduced sightline units. “If a Member chooses for their own advantage to breach the GGF rules or indeed the law, it is the GGF’s duty to inform them and to guide and support them to return within the boundaries of the GGF rules and the law. If they choose to ignore that guidance then upon a finding of guilt they will be expelled. We have evidence that that course of action has worked in the past. But we are not a policing authority. However, if we find that a Member is operating outside of the GGF Rules because of other authorities’ failings then it is the GGF’s duty to both guide that Member and address the root cause that is putting that Member under pressure to act in a way that takes them outside of the GGF Rules. Reduced sightline units is an area that is simply not a case of black or white. Break the GGF Rules for your own advantage without cause then you are expelled. We must uphold the highest standards for the sake of the GGF and its Members. 1. Give definitive technical and legal advice to Member – we have done that in this case. The GGF has worked mainly in Scotland on this issue, having many meetings with Historic Environment Scotland, Building Control, MSPs and Scottish ministers, Trading Standards and local authority planning departments. Generally the view from most is that although they accept the reduced sightline IGUs being supplied do not comply and although early failure of these IGUs has been experienced, the view of most agencies is that Heritage takes precedence to compliance with BS EN 1279. The GGF has referred one manufacturer to Trading Standards and although they will not confirm whether or not they have investigated and given they are still trading the same products, it can only be assumed that Trading Standards have yet to deal with the case. 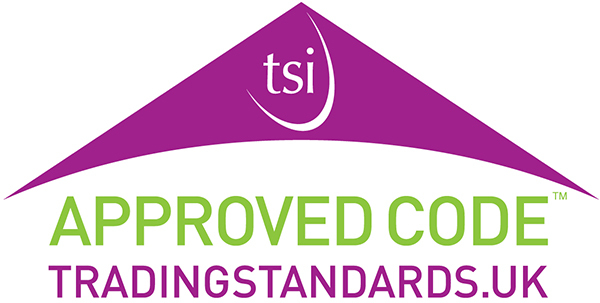 Insulating Glass Units (IGUs) – Conforming to the Construction Products Regulation (CPR). This is available as a free download. A Guide to the Planning Process and its effect on the Replacement of Windows and Doors in England. This is available exclusively as a free download to GGF Members. The GGF Heritage Windows Group is meeting on 19th October in Birmingham and all Members are invited. If non-Members wish to attend, then please contact membership@ggf.org.uk.